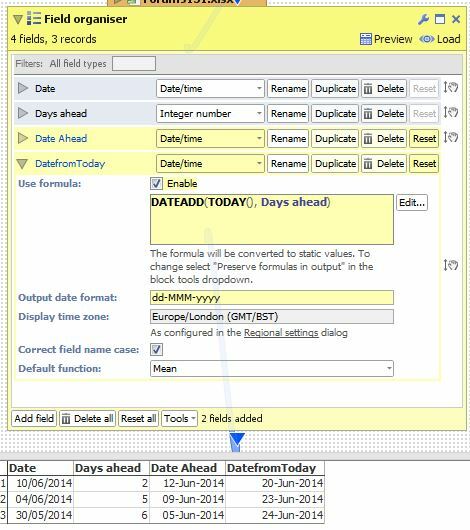 Formulae: Adding Time to Dates? I have a Date column and a column showing the number of days ahead. Eventually I would like to get the Date ahead i.e. if the Date today is 10/06/2014 then in two days it will be 12/06/2014. Please see the example below. Use this function, replace the number bit with the column for days ahead and put "day" for unit. DATEADD formula will assume "day" unit as default, so in this case you could skip that part of syntax.